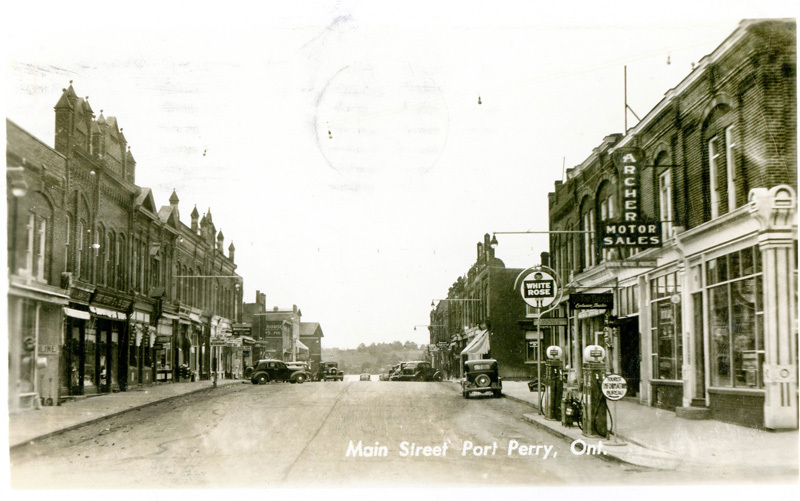 in and around Port Perry during this period in history. 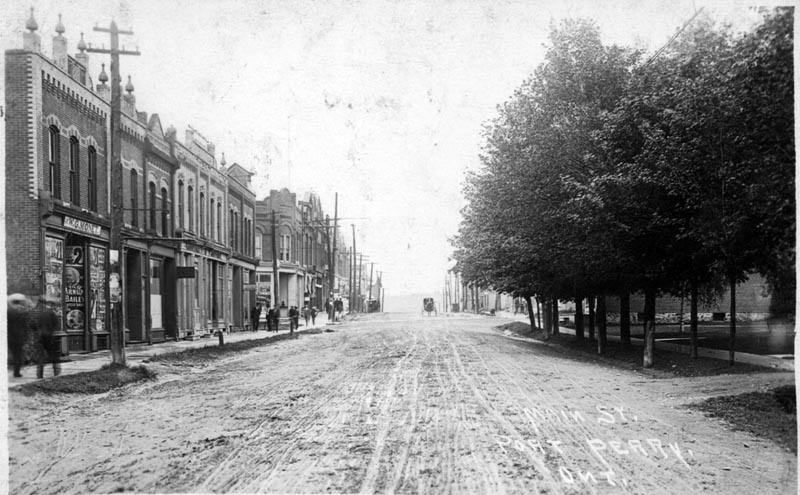 Looking east along Queen Street, from the corner of Simcoe St. about 1915. 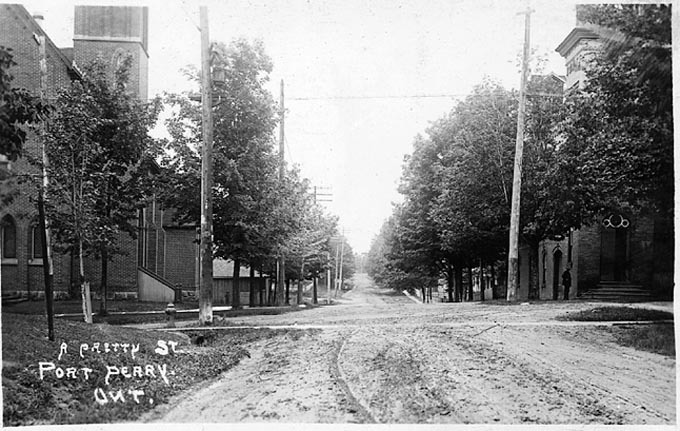 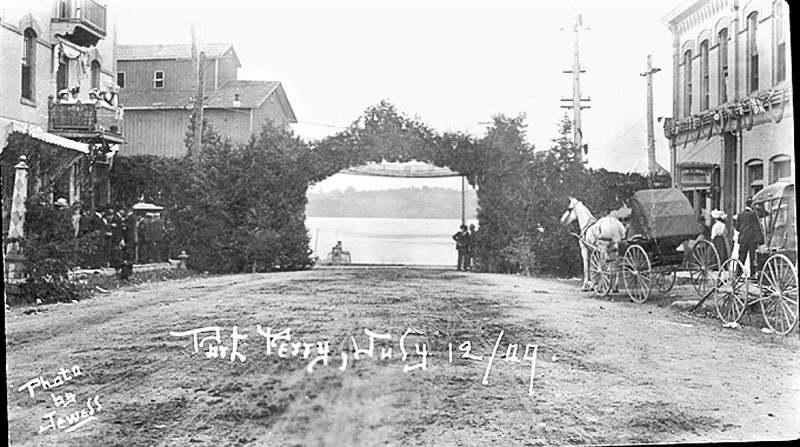 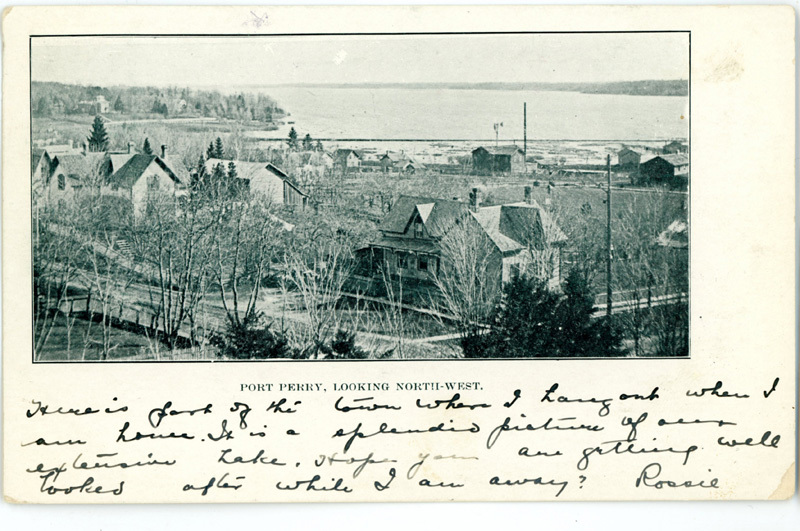 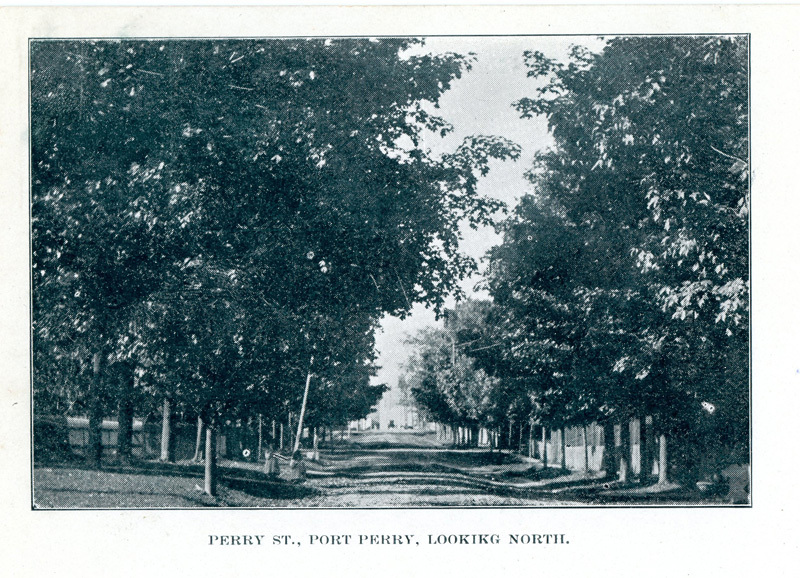 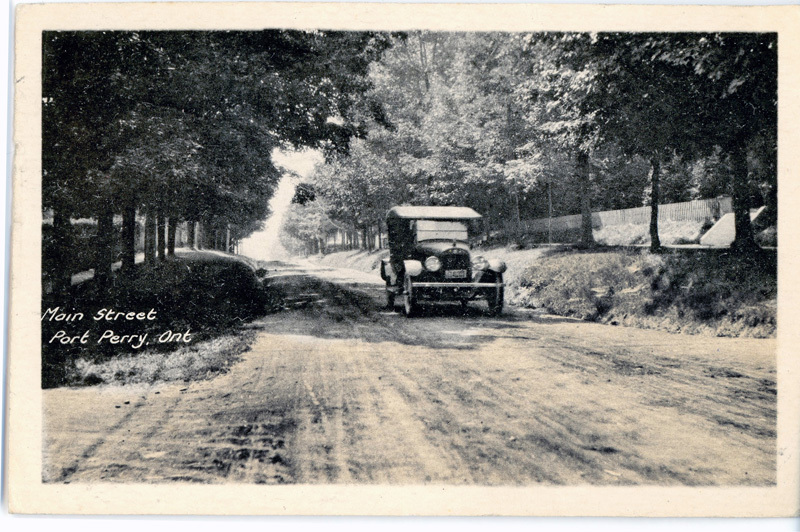 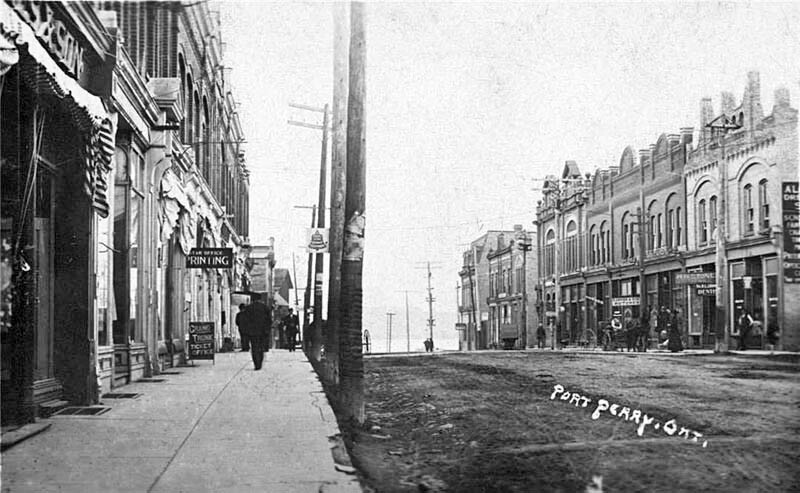 John Street south, Port Perry about 1910. 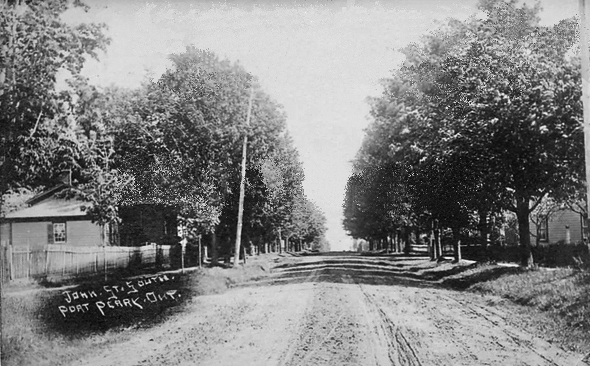 Looking south along Lilla St. (Simcoe St.) from just north of Queen Street, circa 1910. 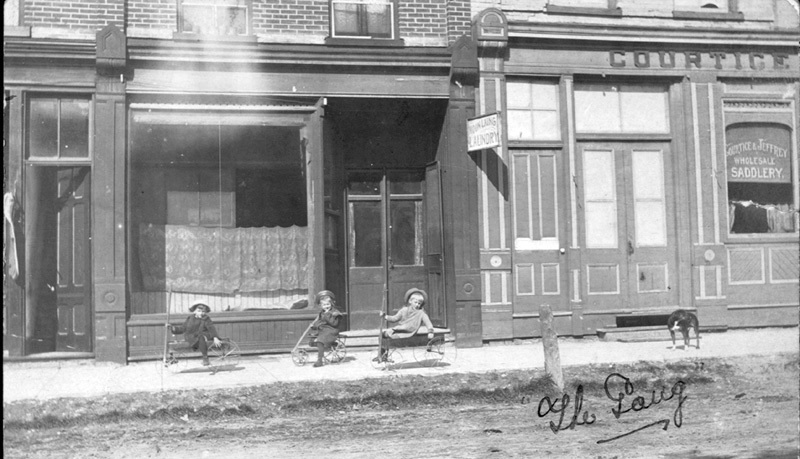 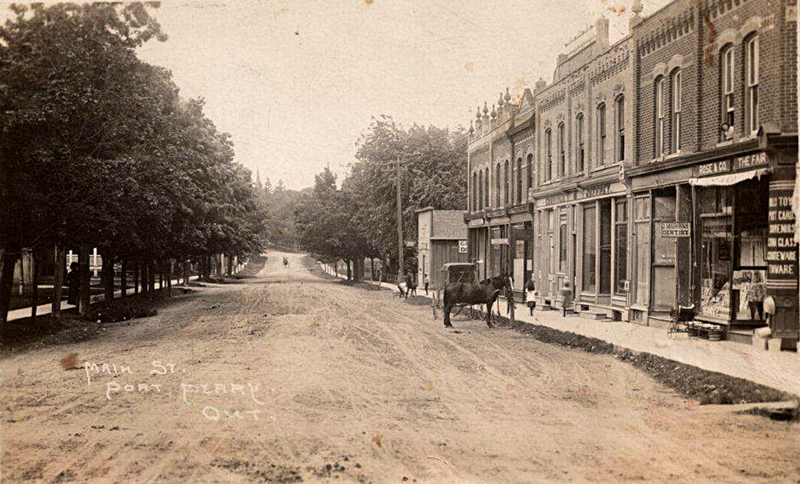 Queen Street early 1900s, looking towards Lake Scugog. 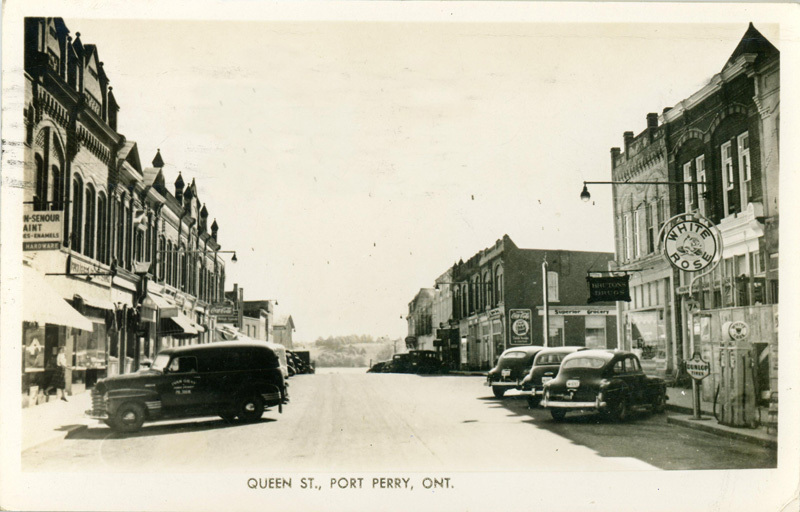 Queen Street 1941, looking west from centre of downtown. 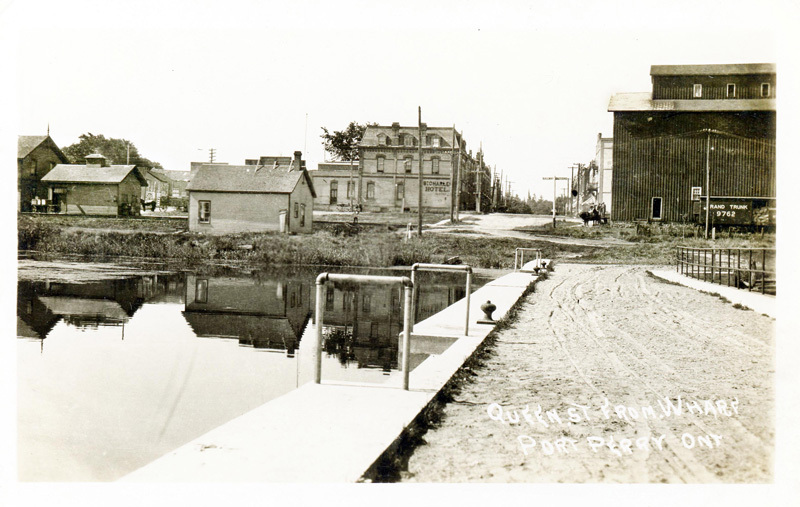 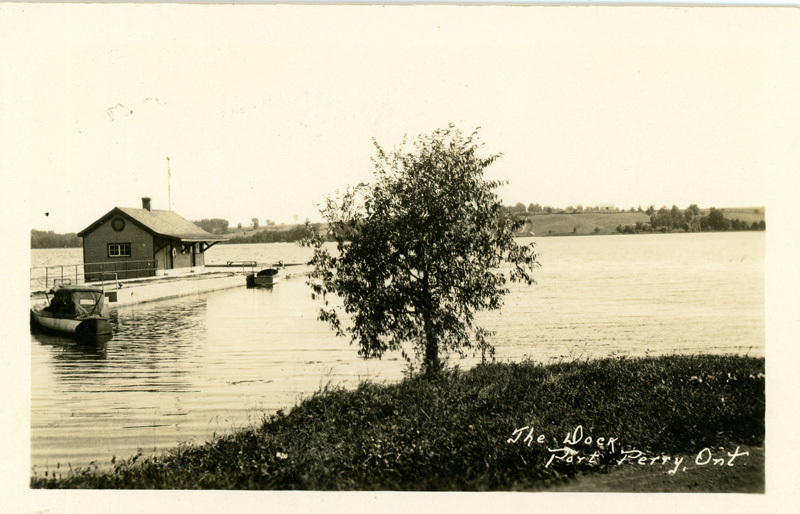 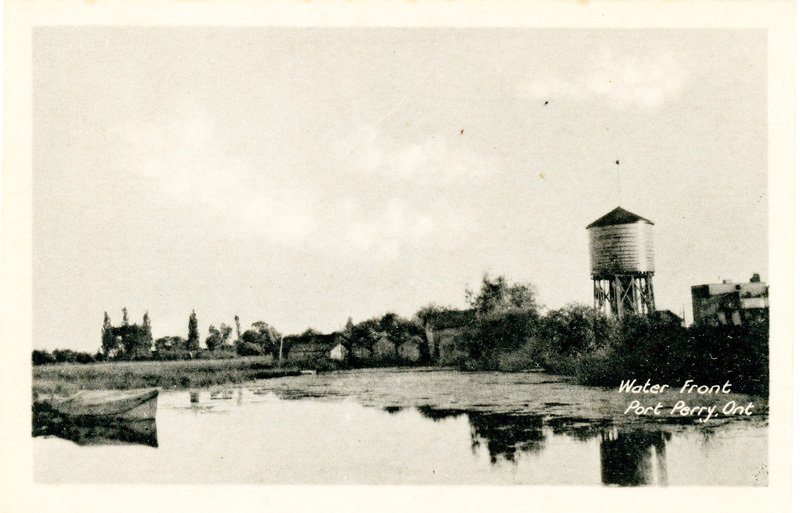 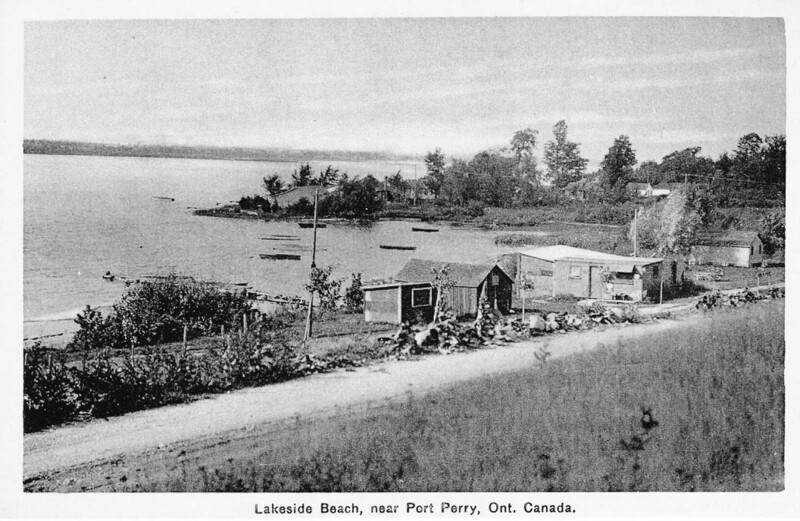 Dowtown Port perry looking east towards Lake Scugog about 1930. 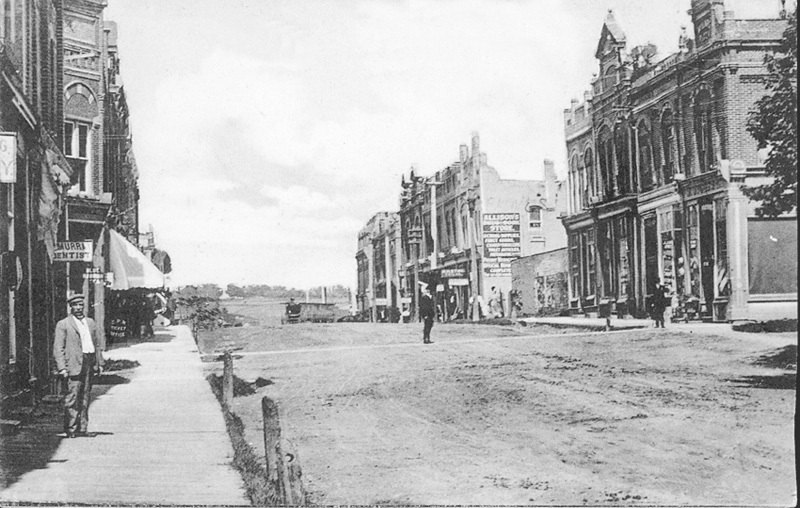 Queen Street looking east 1920. 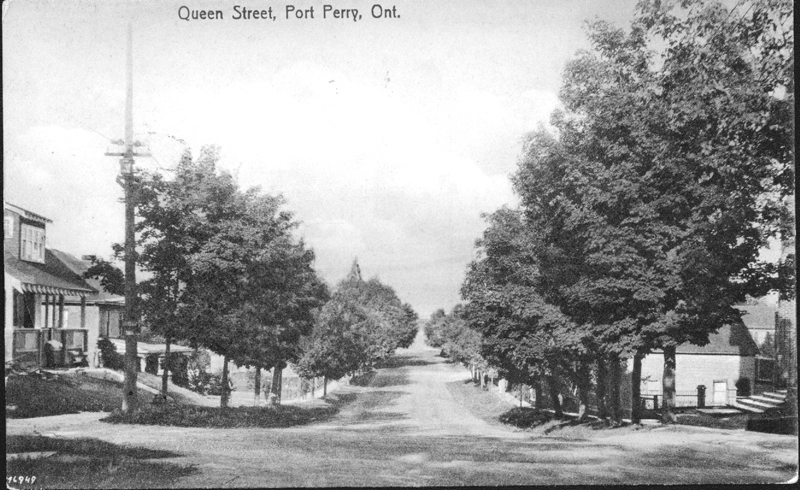 Queen Street, looking east towards lake from Lilla St. (Simcoe St.). 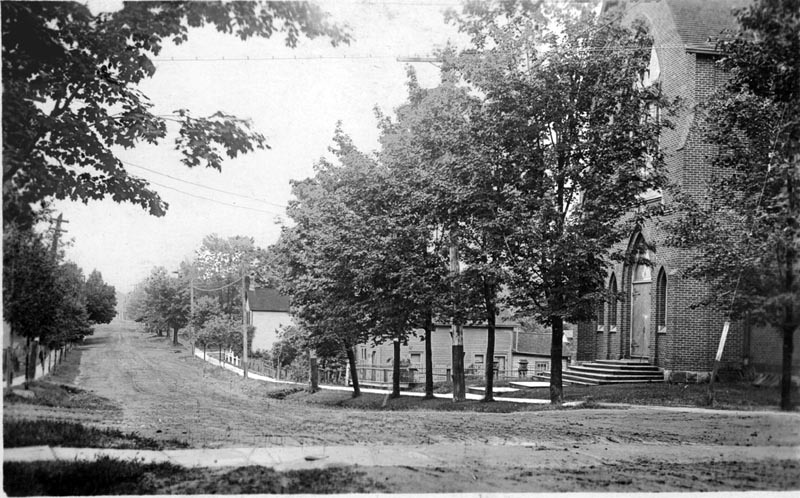 United Church steeple and Town Hall tower in far back, looking west on Queen Street. 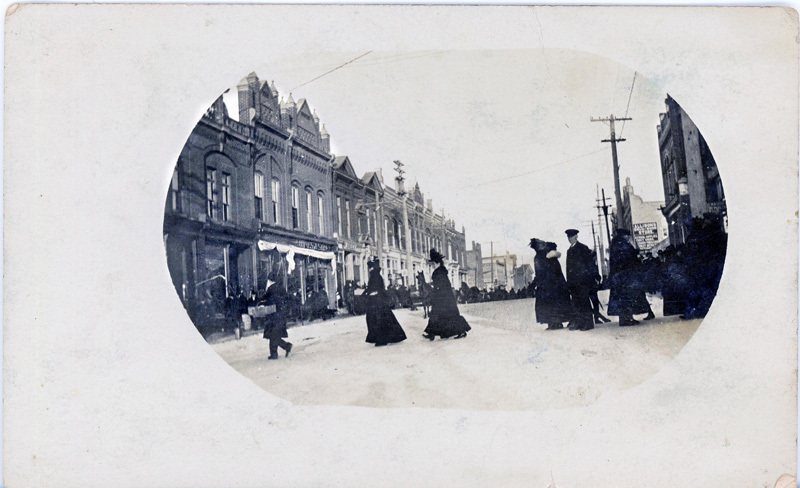 Waiting for the Orangeman's parade along Queen Street in 1909. 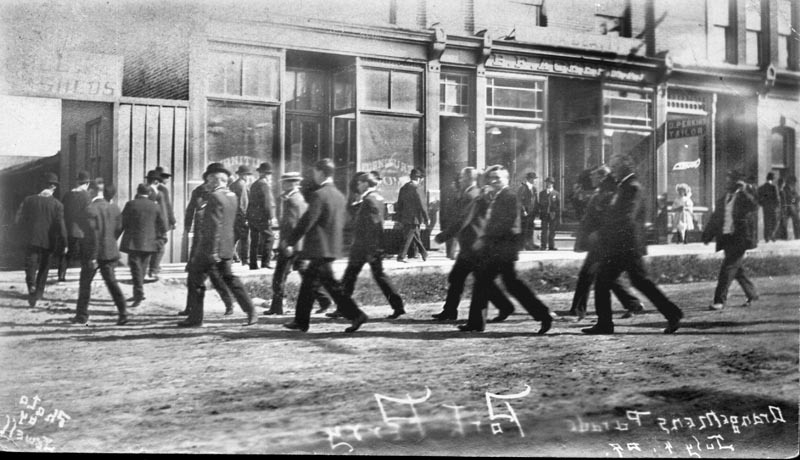 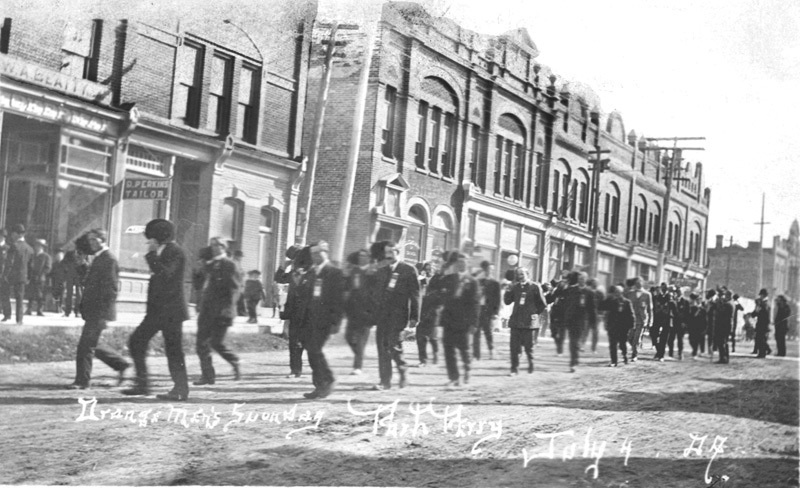 Orangeman's Parade through downtown Port Perry in 1909. 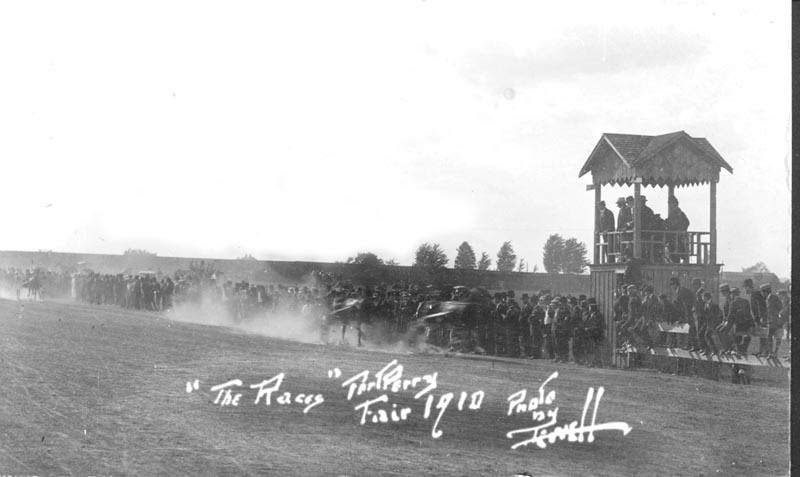 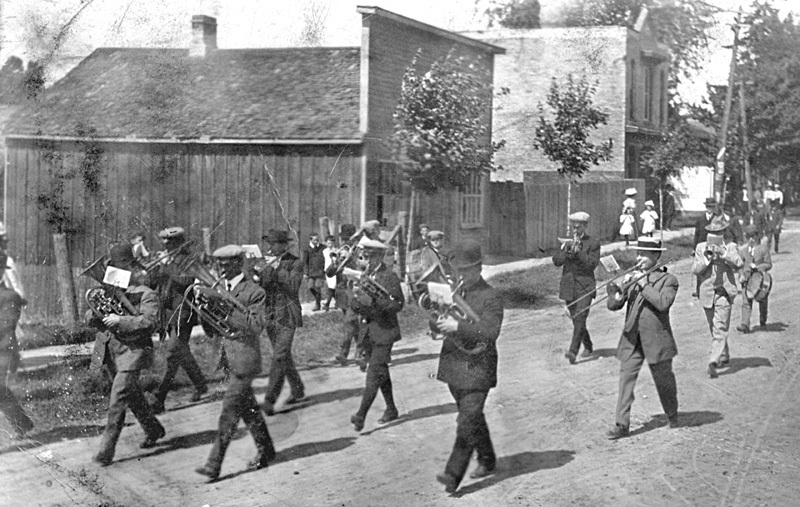 Orage Parade in Port Perry, 1909. 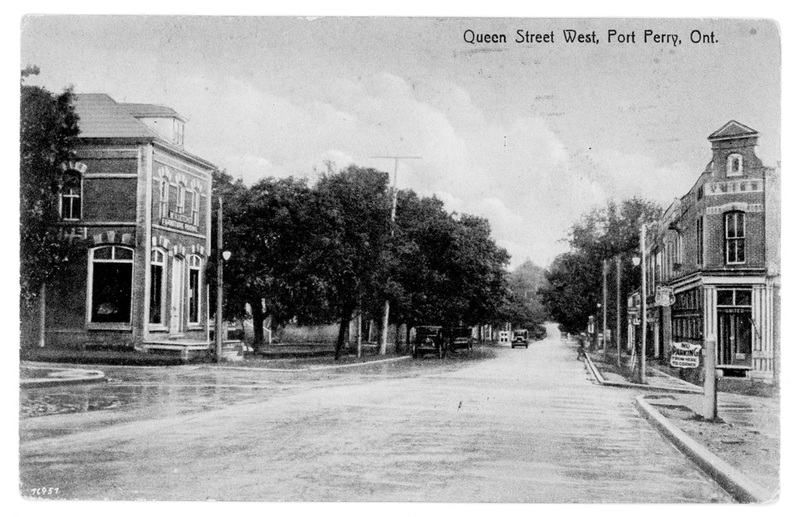 Parade marches along west end of Queen St. Old post office in background. 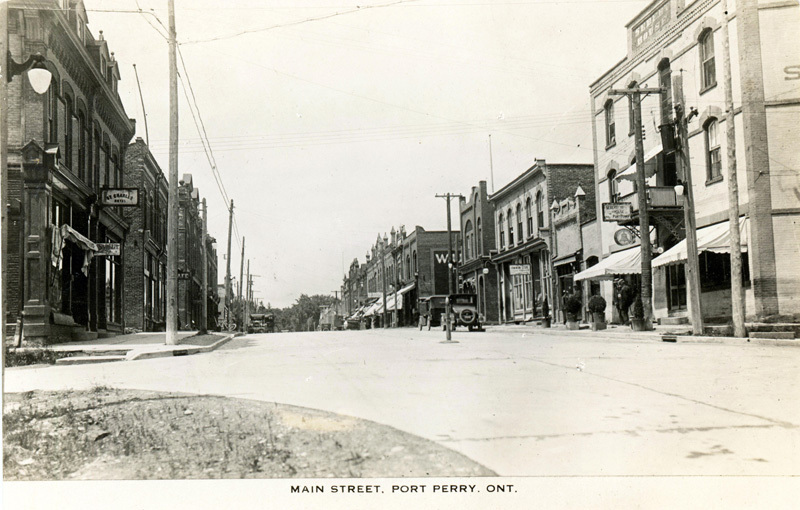 Early 1900s in downtown Port Perry. 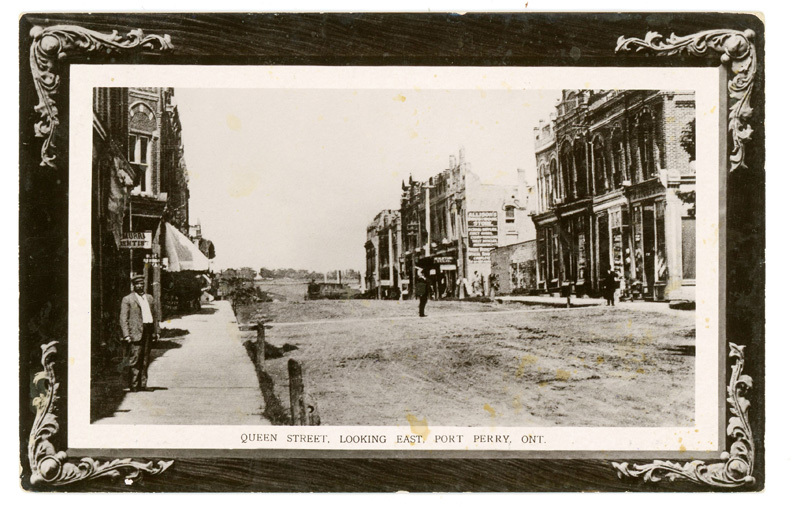 Procession of people crosses Queen Street near Perry Street. 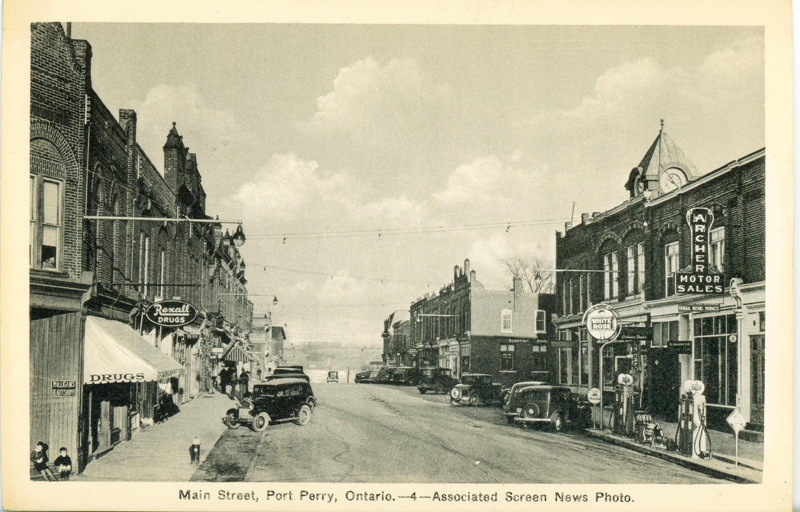 View of Queen St., Port Perry from near the grain elevator looking west. 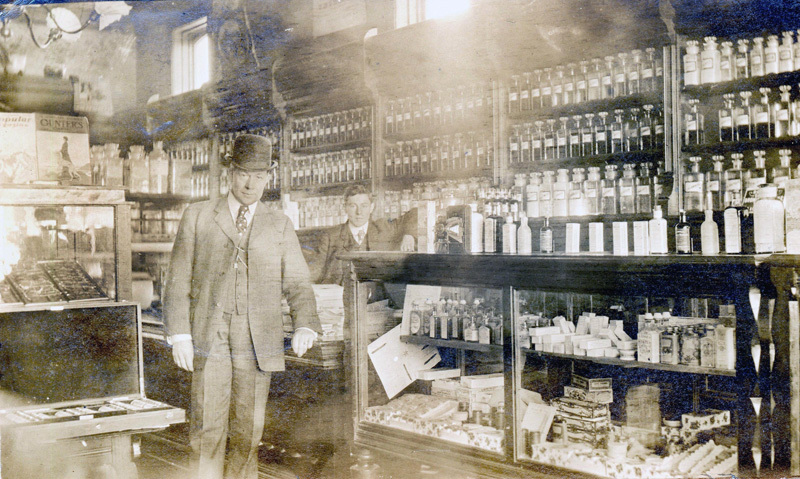 Inside of Flint's Drug Store, Port Perry. 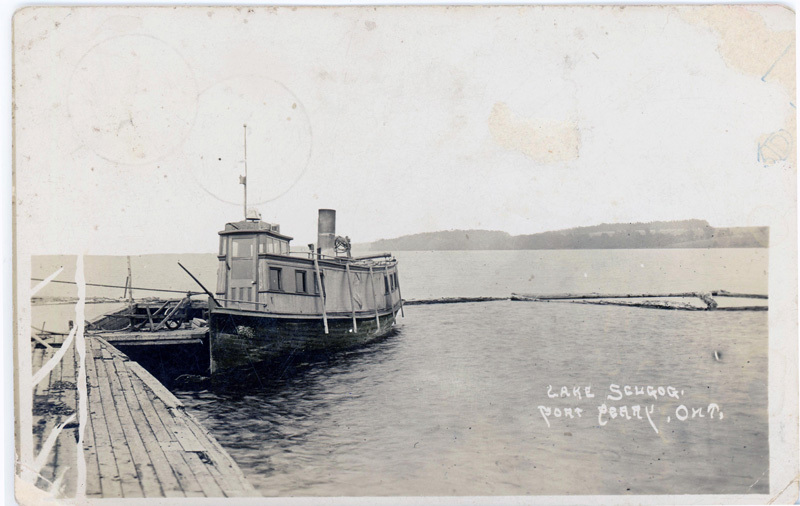 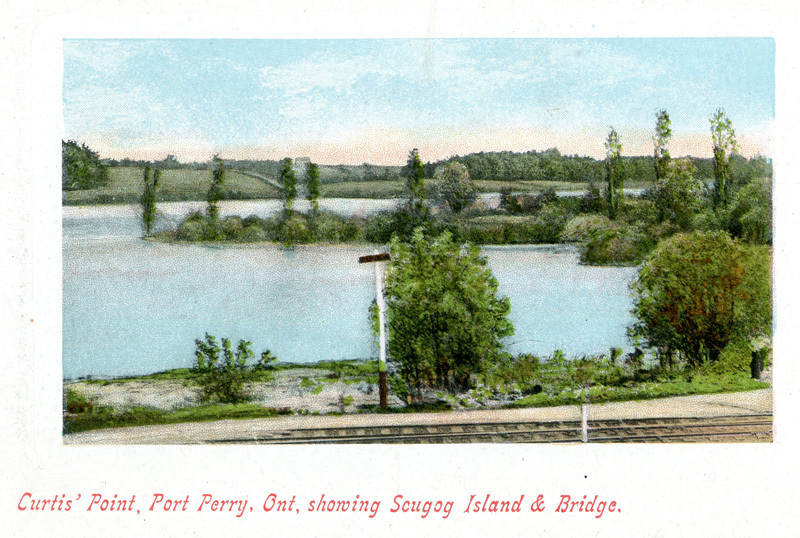 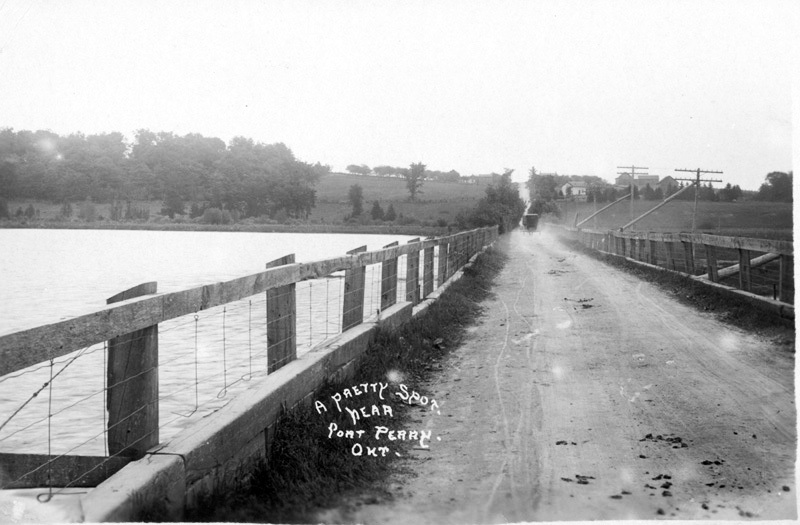 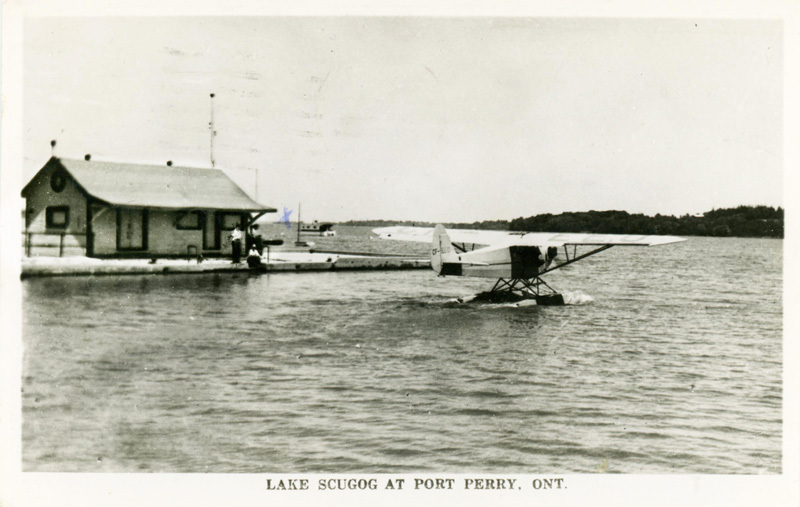 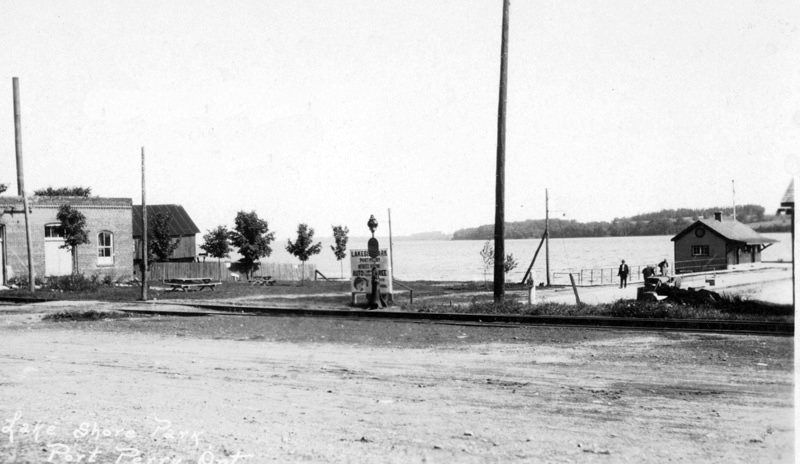 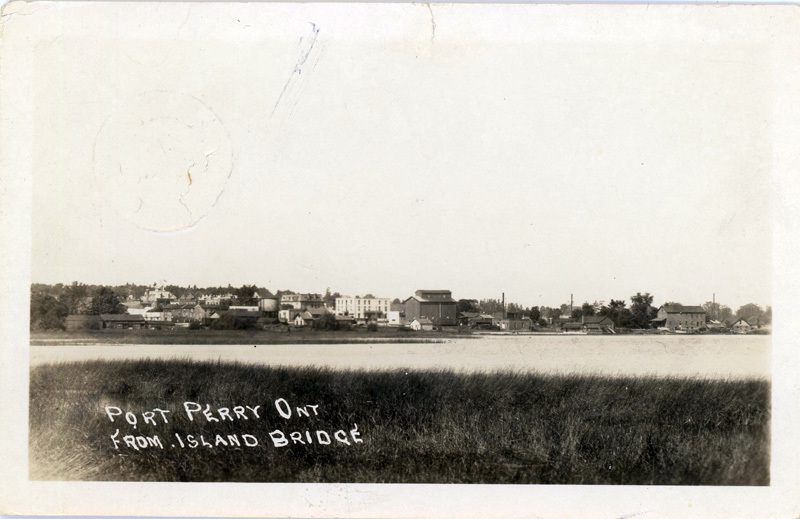 The causeway bridge to Scugog Island about 1920. 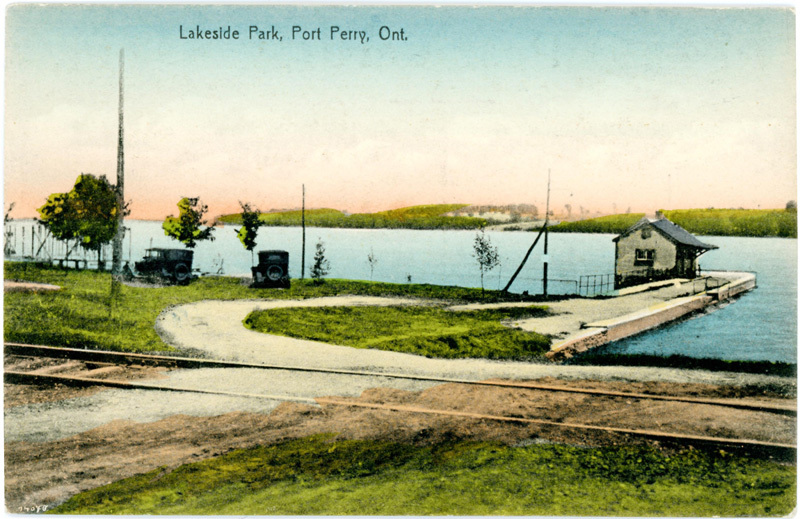 One of the two German canons given to the town after WWI, at the lakefront, Port Perry. 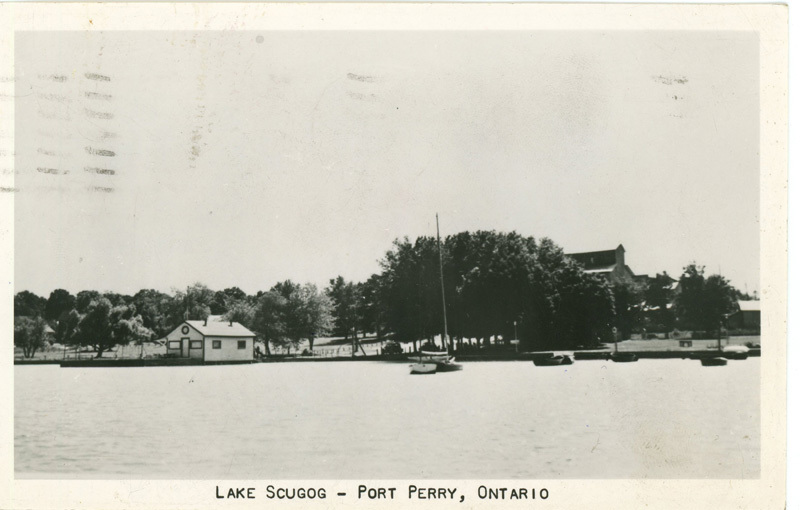 The dockhouse at the end of the pier at Port Perry, Lake Scugog. 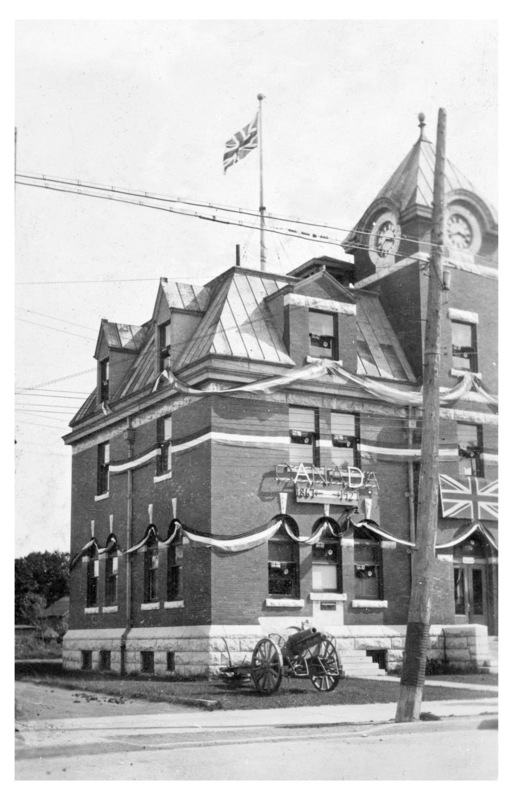 Post Office 1927 with German canon on display. 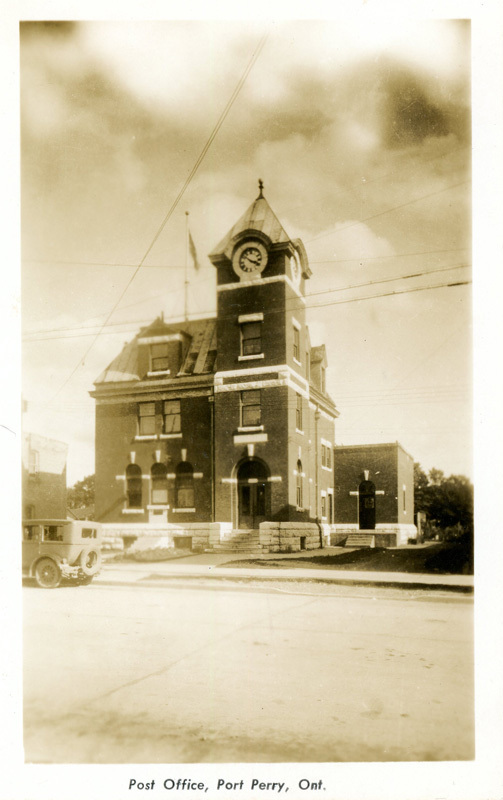 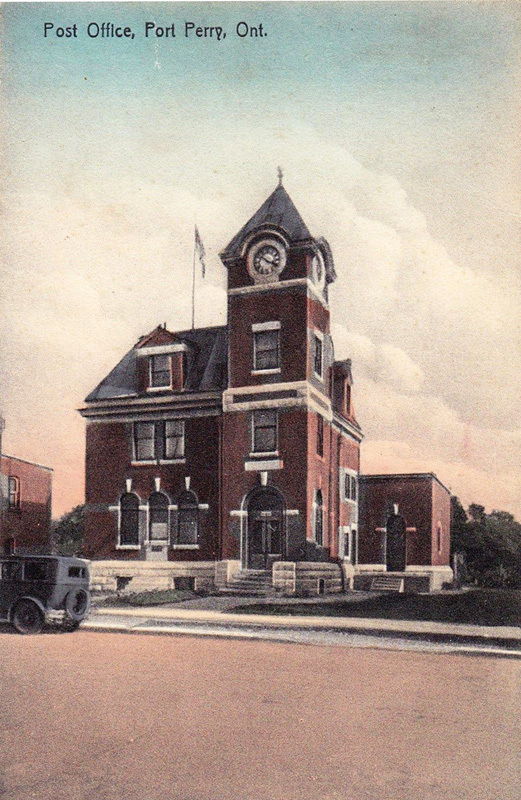 Post Office about 1918, a few years after it was constructed. 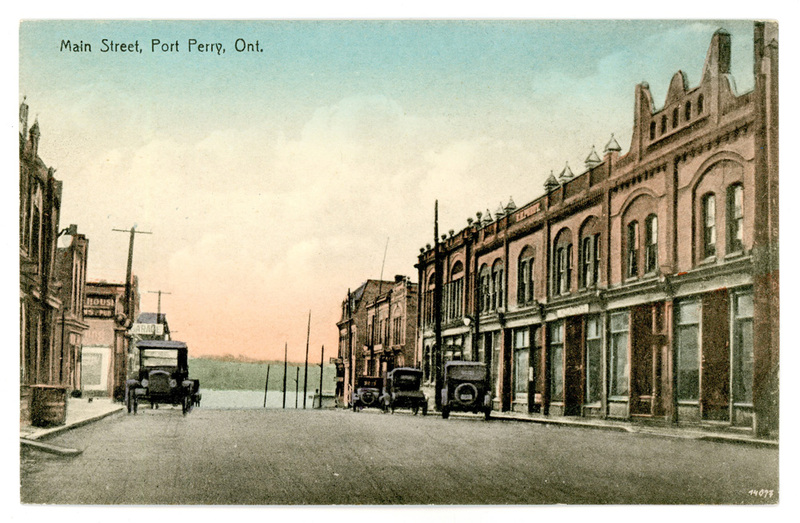 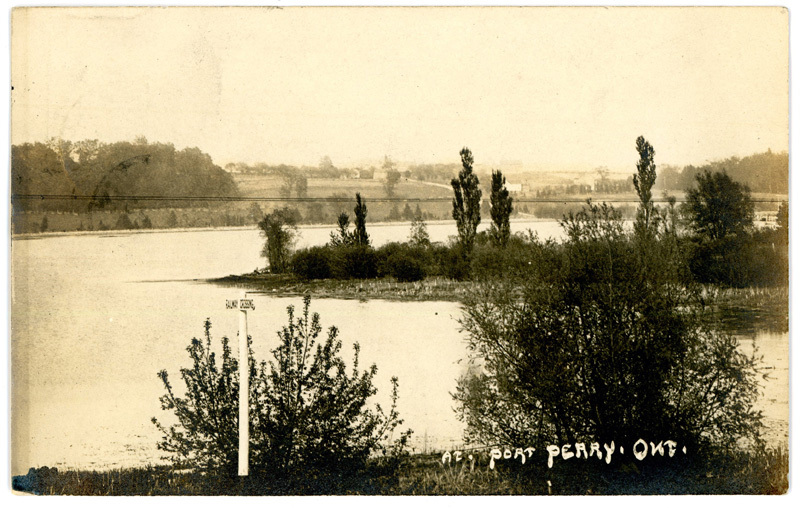 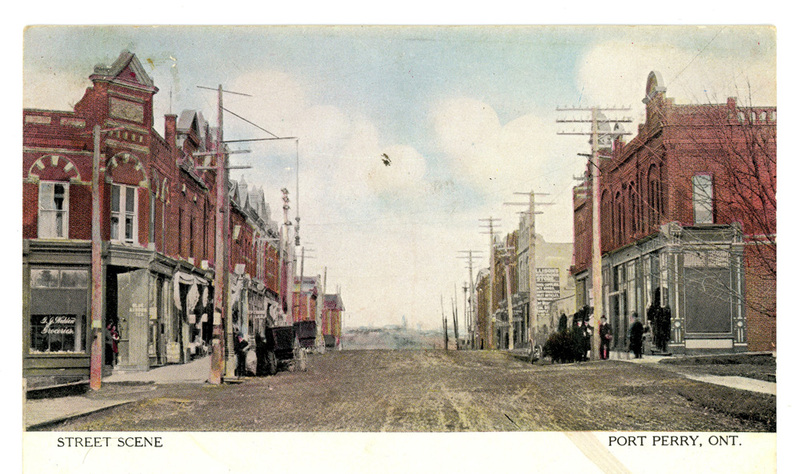 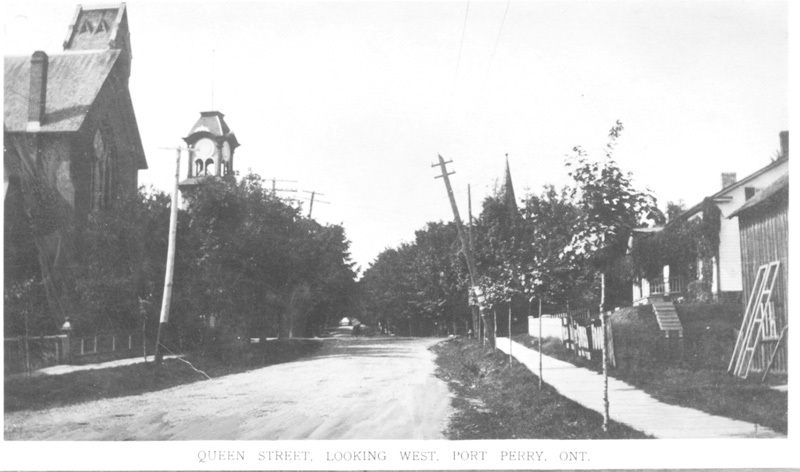 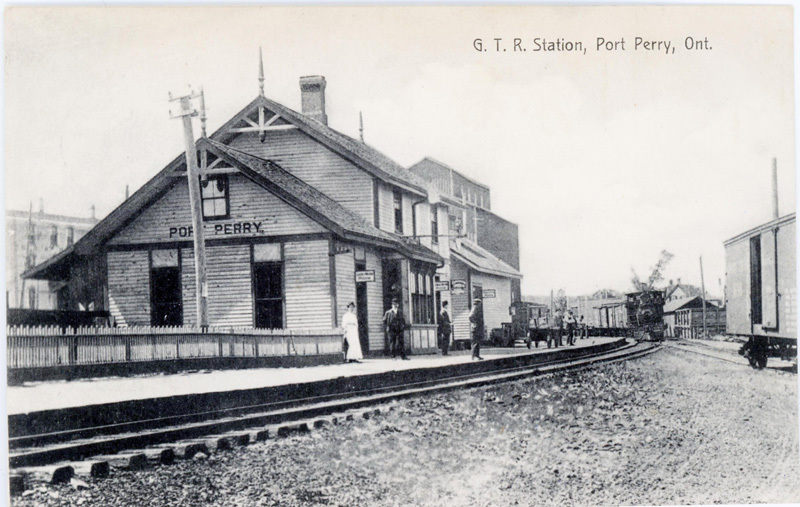 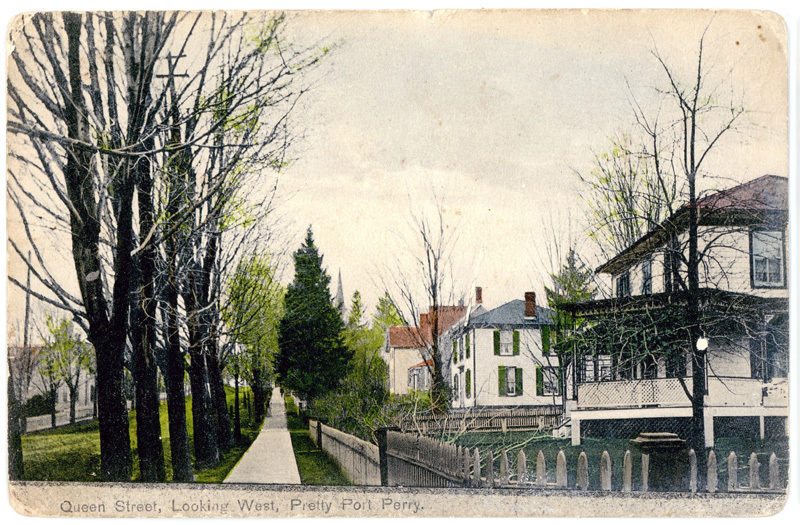 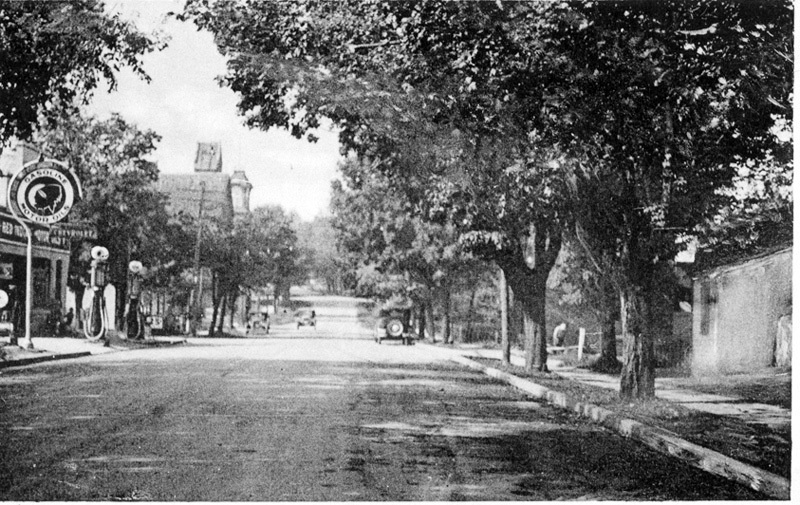 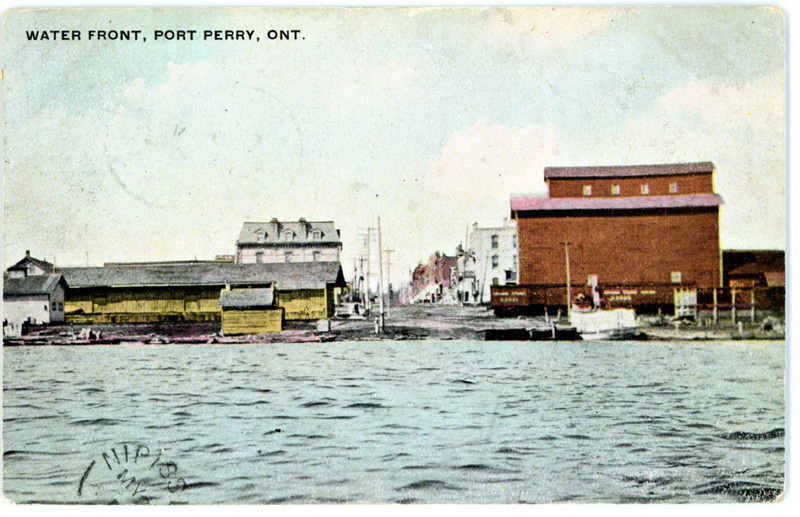 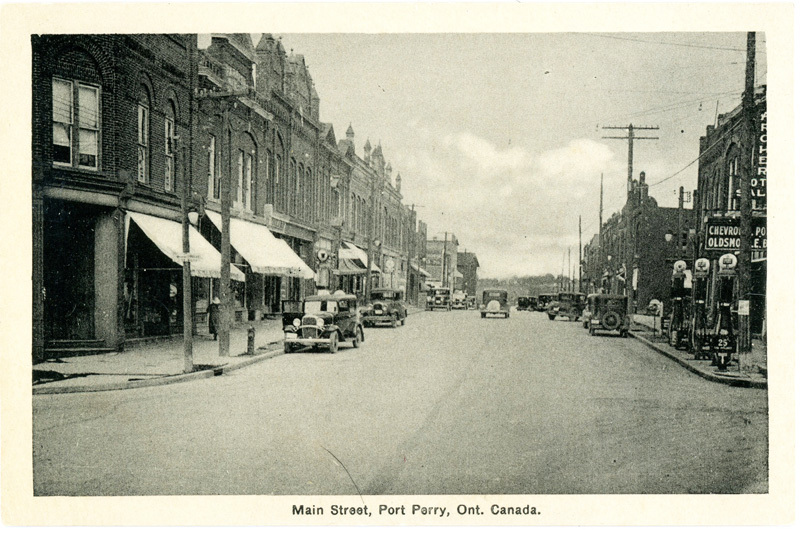 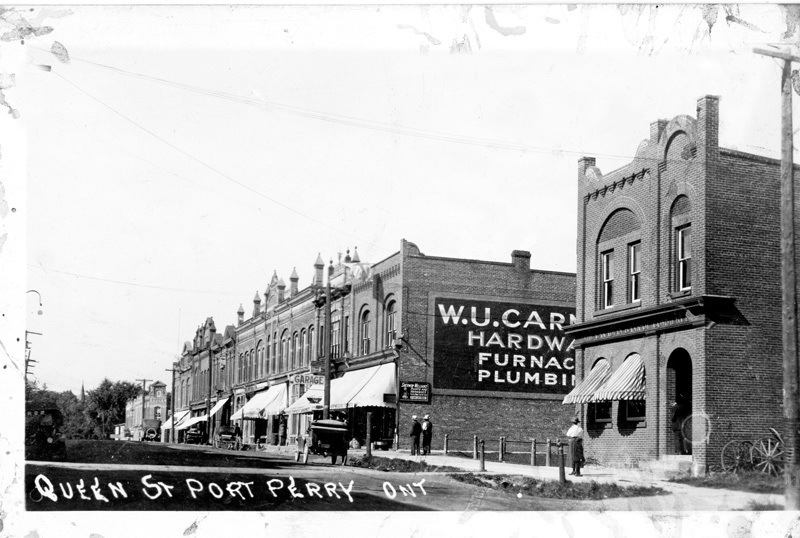 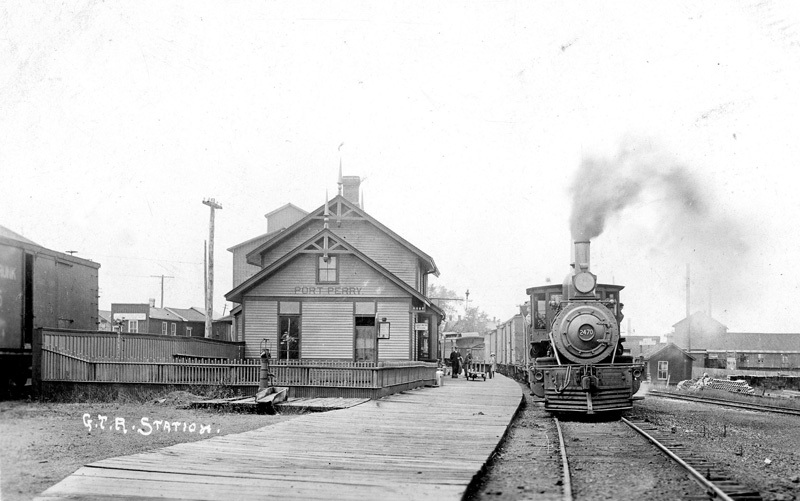 Queen St., Port Perry, 1910. 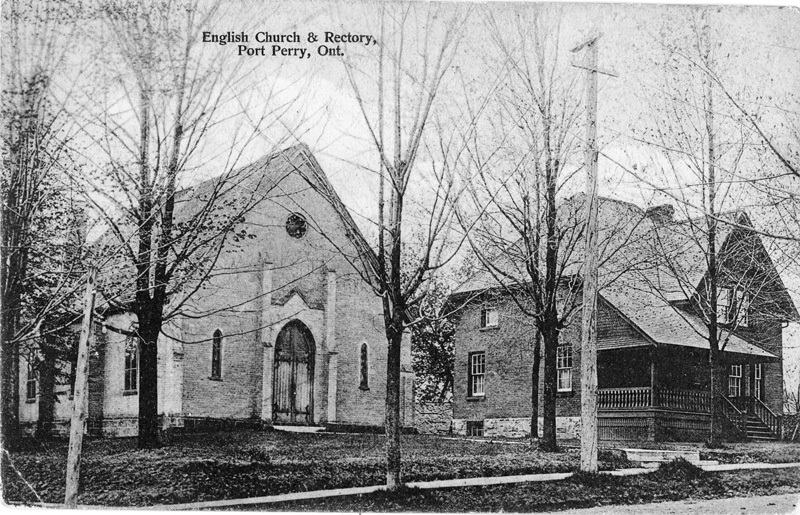 English (Anglican) Church 1908, North St., Port Perry. 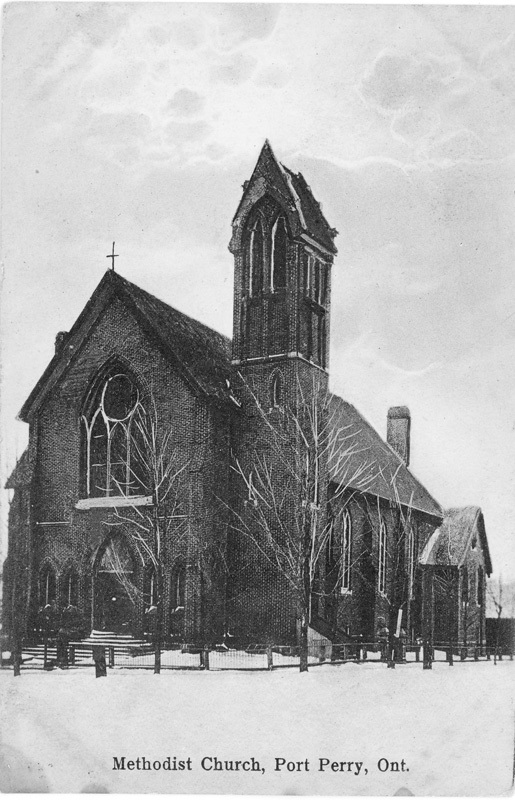 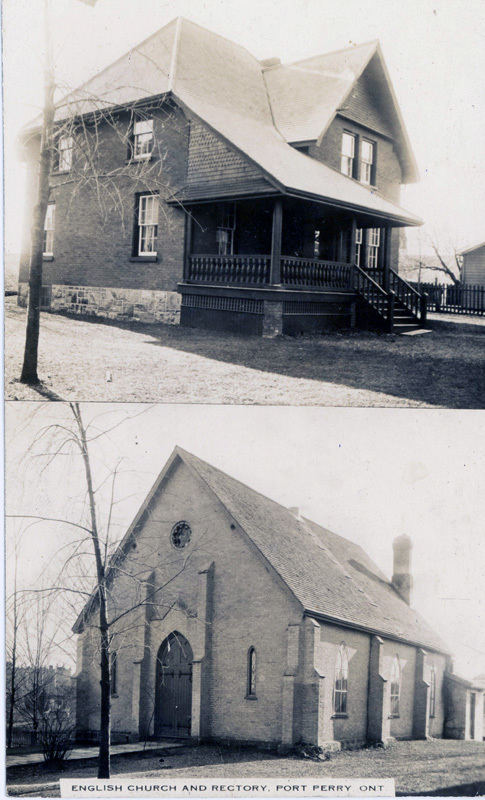 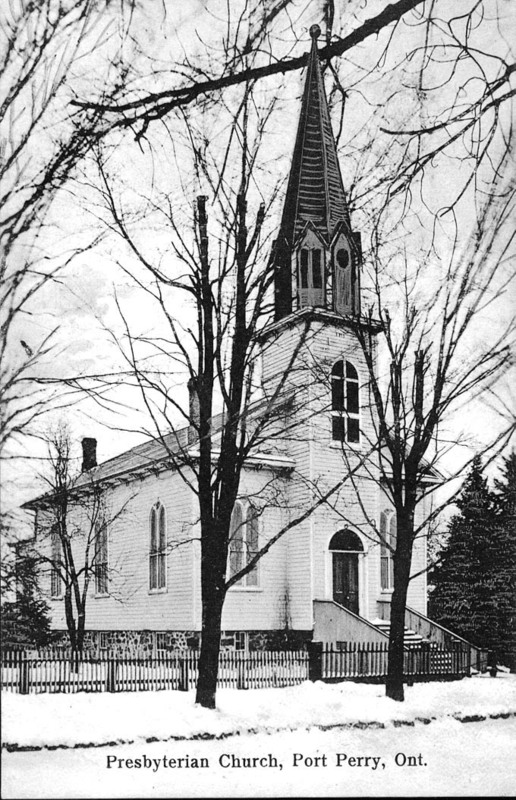 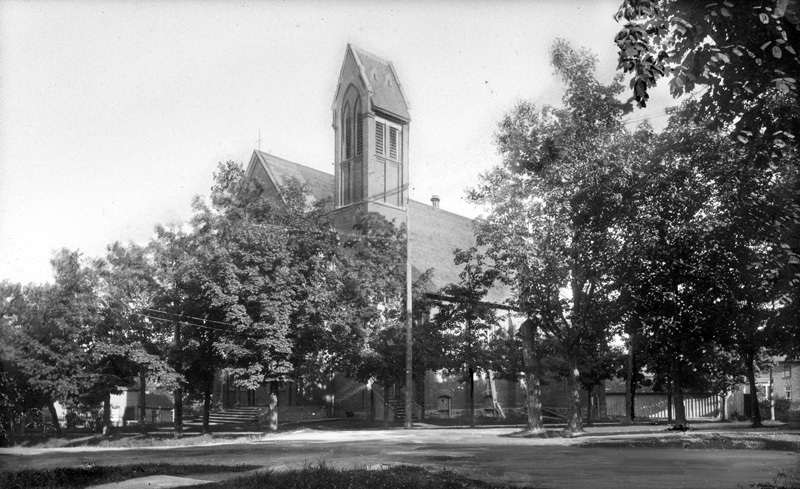 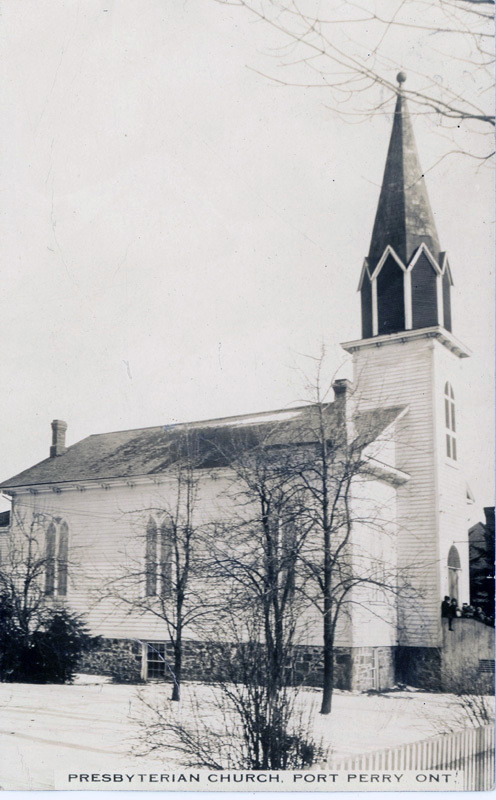 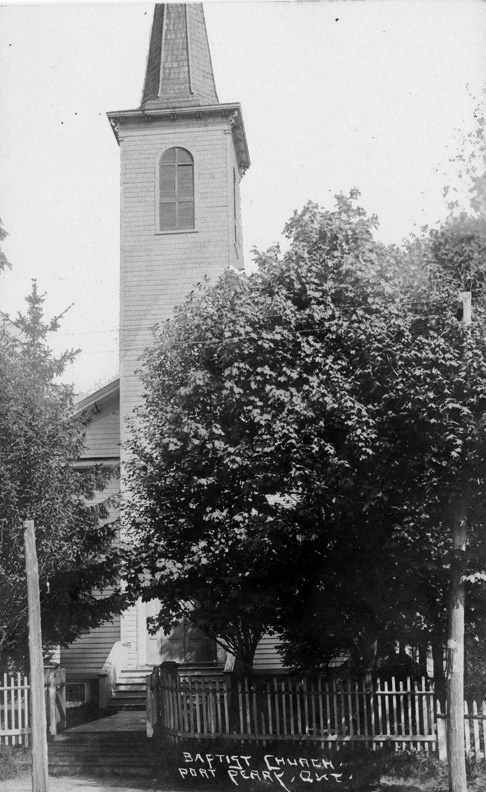 Methodist (United) Church, Port Perry, 1910. 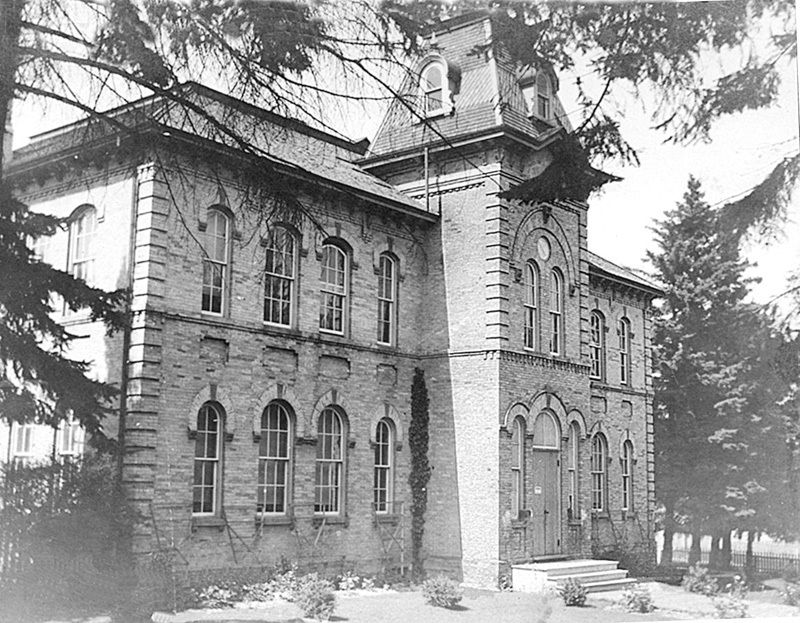 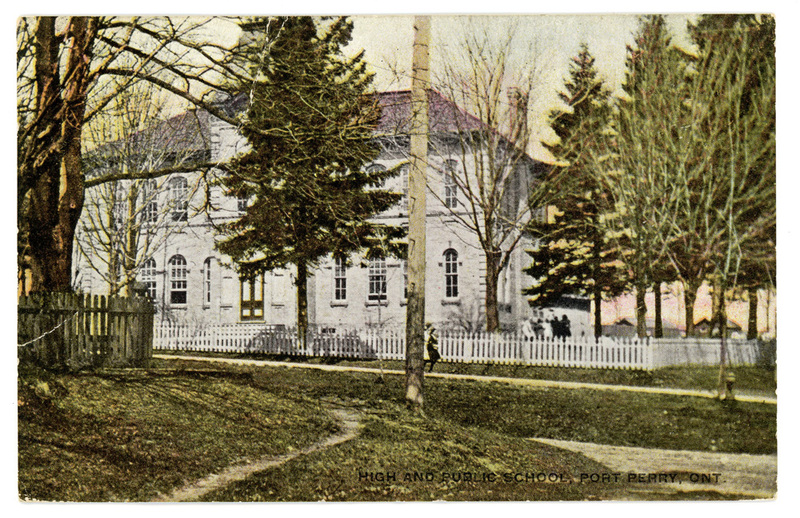 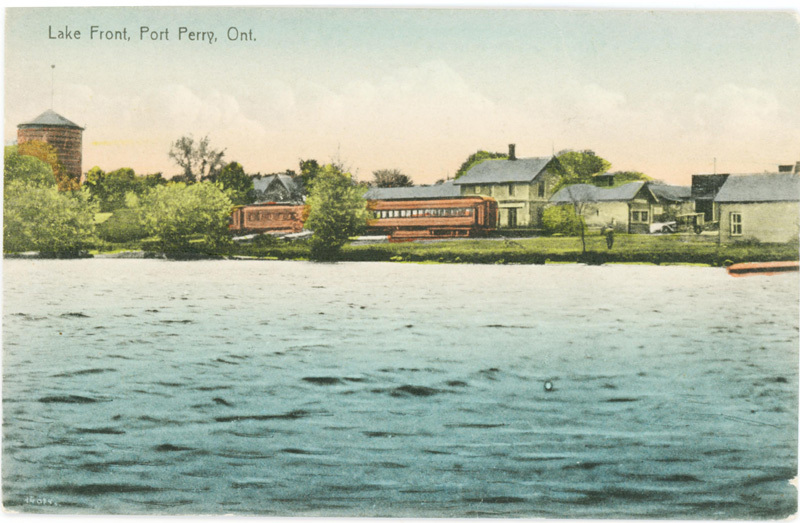 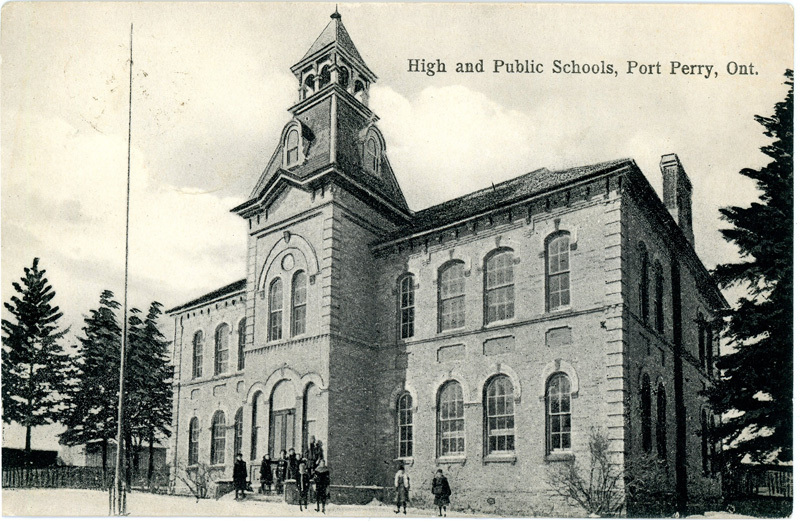 Port Perry Union School (Public and High School) about 1912. 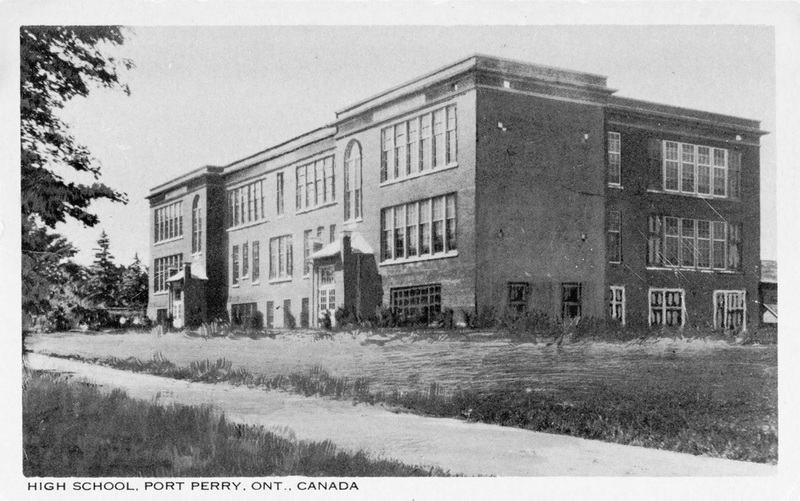 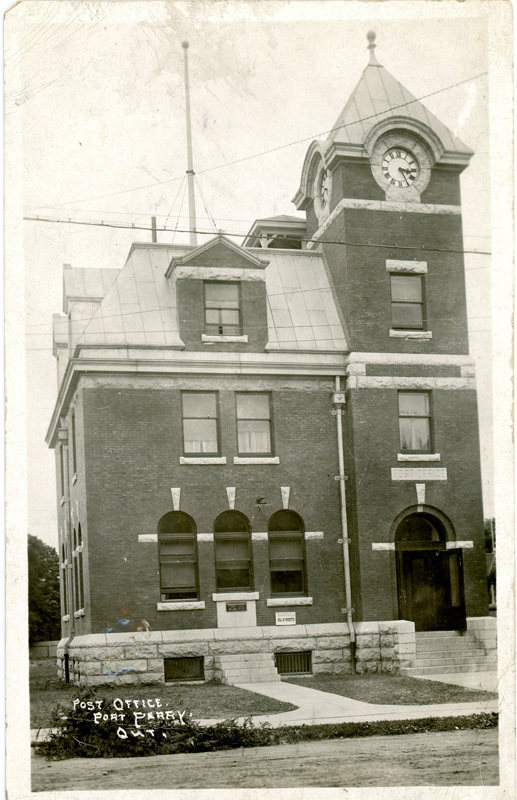 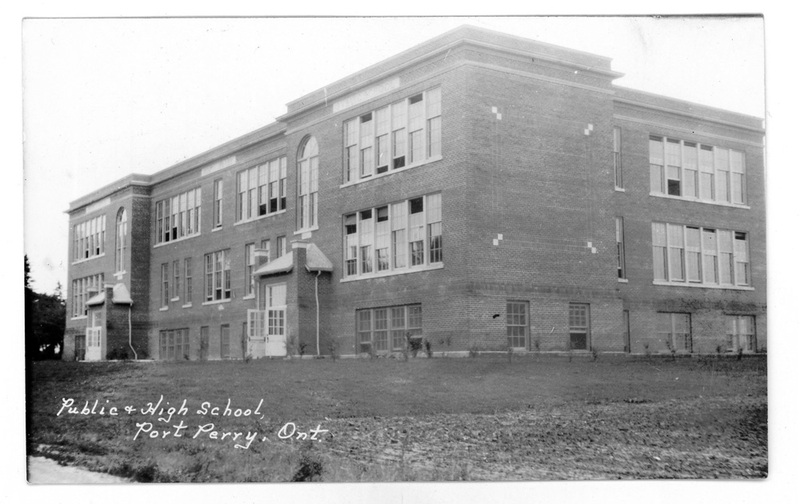 The new Port Perry High and Public School 1927. 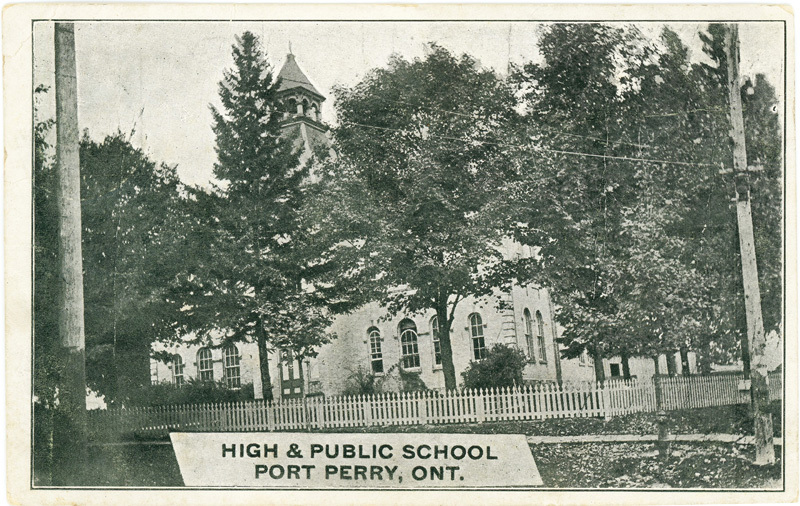 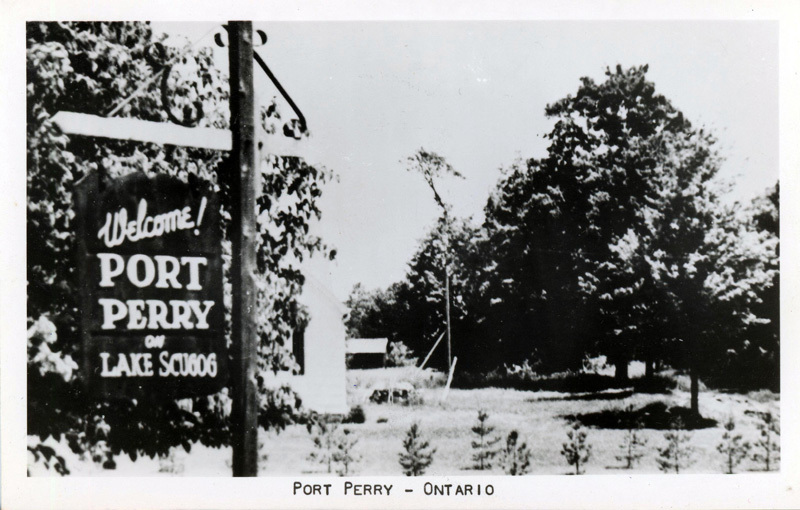 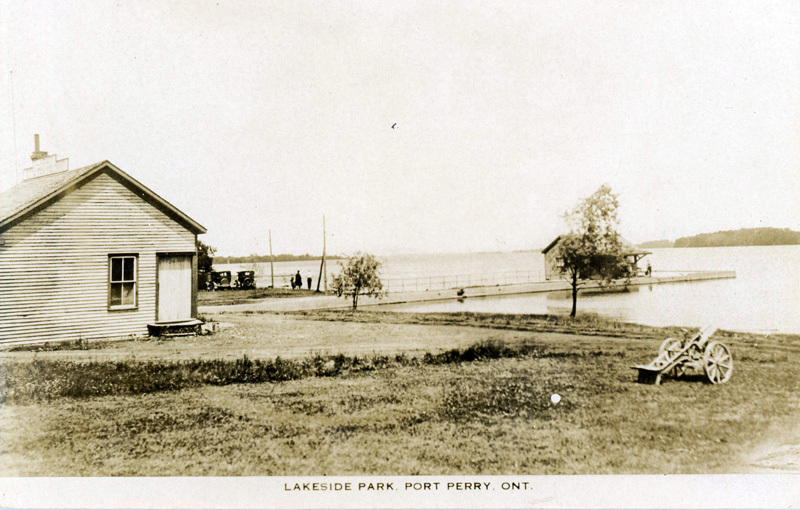 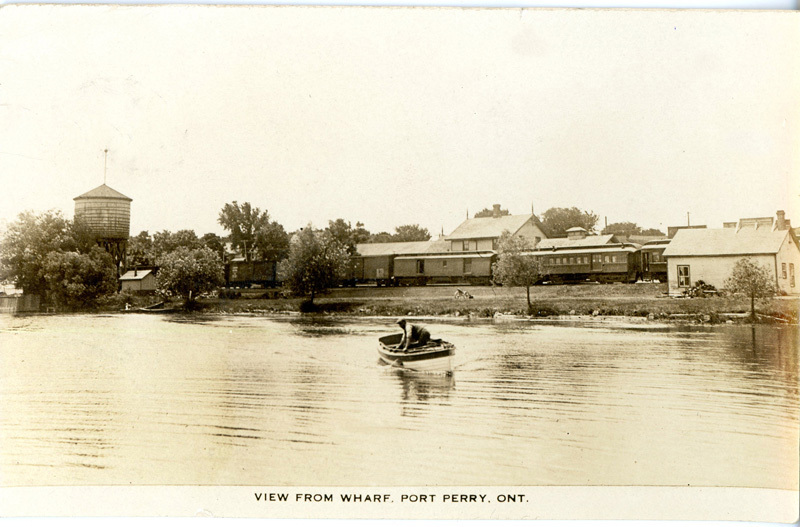 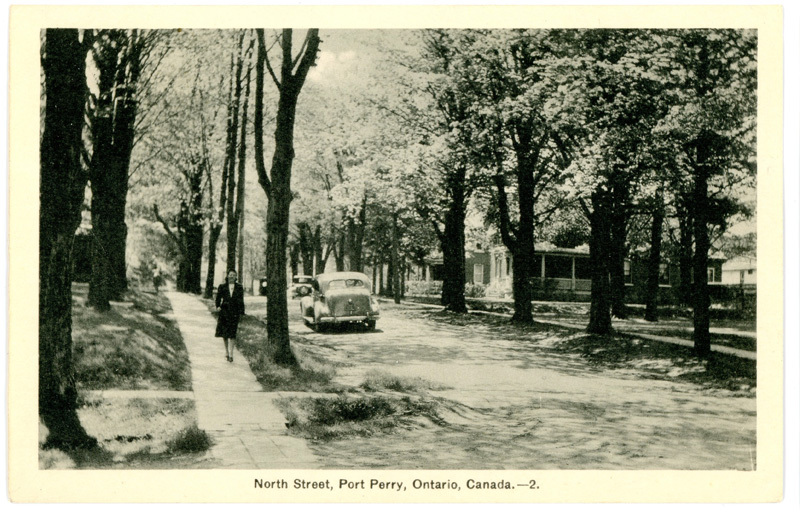 Port Perry Public and High School about 1927.